Julie Made This: At last! A finished project! At last! A finished project! At last, a finished project to show you! Months and months after starting it, I've finally completed the bag I first described back at the end of July. I must have started work on this bag at the beginning of June, so it's been a long time in the making, far longer than it really should have taken, but I'm putting that down to my hectic weekend schedule. So with no further ado, let me present the finished crochet motif bag. As previously described, this bag is an experiment, initially started in the wake of my frustration at being unable to source bits to make bags locally. I have two fantastic books on how to make bags but without a source of handles, straps, D-Rings or clips I was pretty much stuck... So I decided to make a bag anyway, working from my stash. 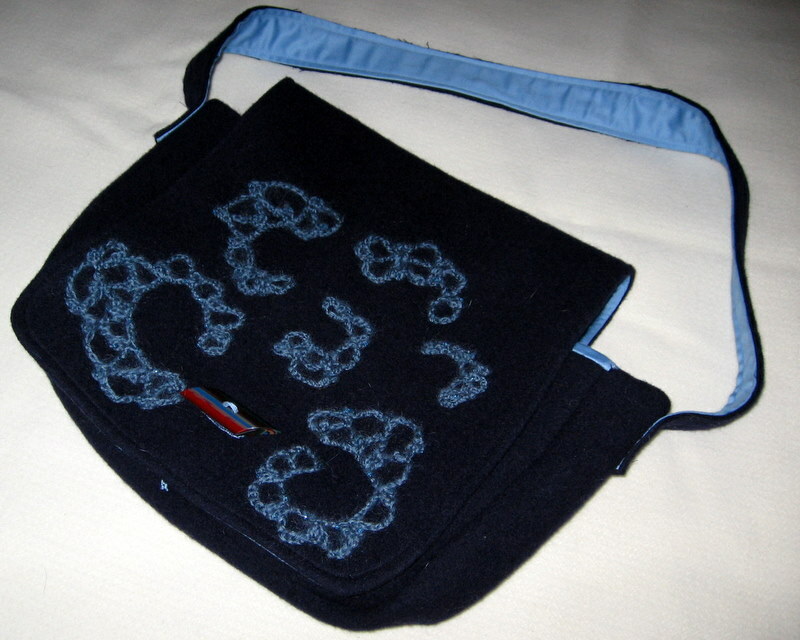 I wanted to make a sewn bag and then embellish it with crochet lace. I decided to add beads drawing inspiration from the Crochet Motif Bag described in Easy Beaded Crochet by Carol Meldrum. The patterns for the motifs are taken from this book although I substituted the mohair I had in my stash (Patons UK Studion Mohair) and changed the hook size, taking it up to 5mm after the recommended hook produced motifs which just seemed too tight. In my opinion, Mohair needs room to be fluffy and mohair like. I used seed beads from my stash, originally purchased for a beaded headscarf again made a good few years back now. 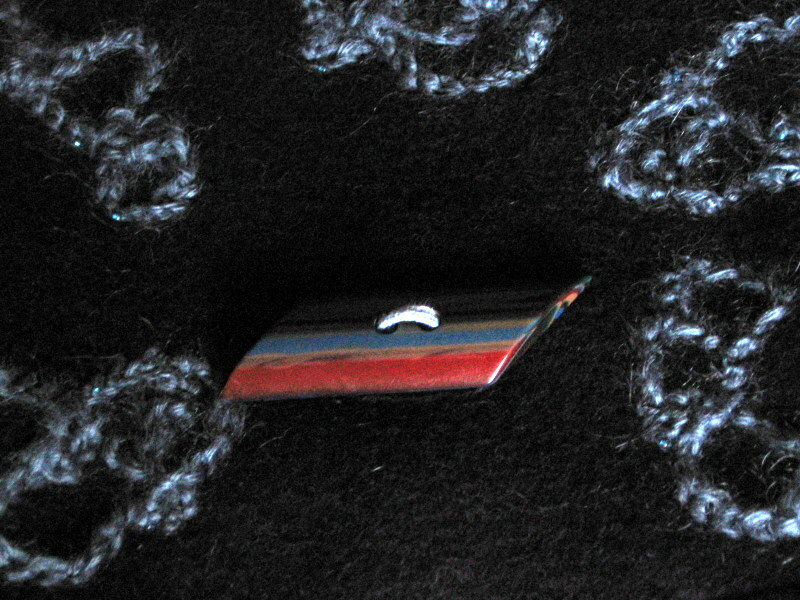 The diameter of these beads is 1mm which was a bit small to easily string onto the mohair. I'd get a few strung on and then the fluffiness of the yarn would make it very difficult to move them along the yarn. There was yarn snappage... I persevered. 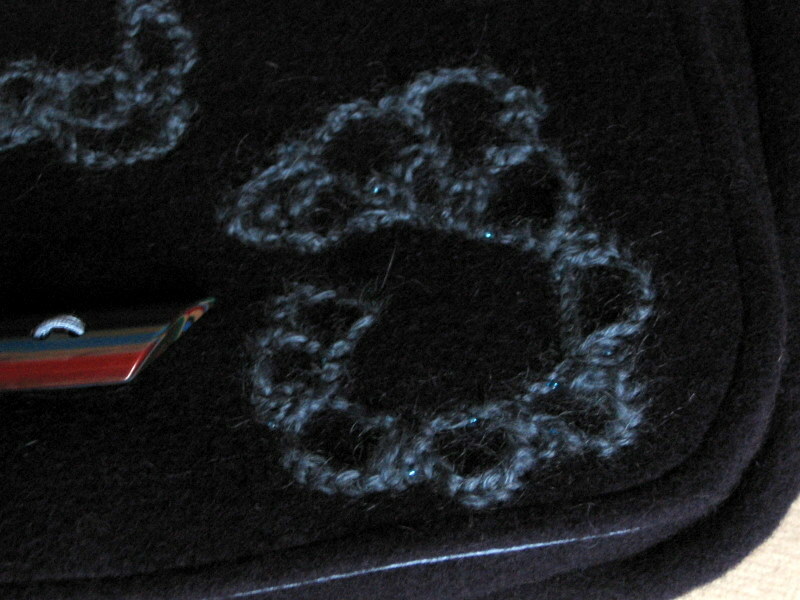 Once I had enough motifs, I spent a couple of weeks looking for a button that I liked, eventually buying a new one (the only thing I specifically bought for this project) from Mrs T's in Coventry. 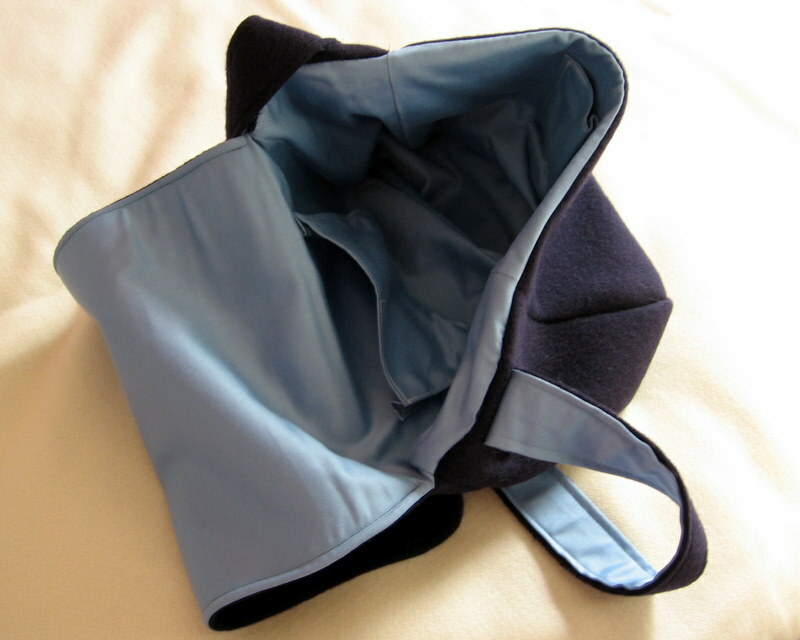 I hand sewed a button hole and then tidied it up a bit by adding a chain stitch border, all done in blue perle cotton. Rummaging in my stash of made up cords and braid, I found a matching piece of luceted cord which I doubled over and couched in place to attach the button. Then came the fun of deciding how to position the motifs and sewing them on, which took several hours and involved a lot of pins. 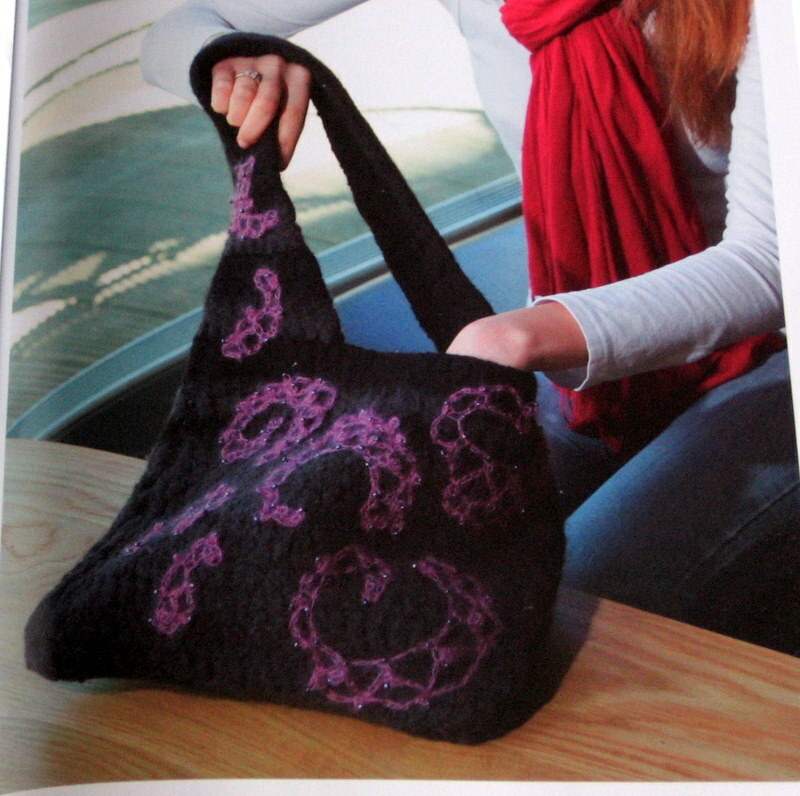 The final effect is subtle with the beads only becoming visible as the light moves across the front of the bag. Something which is very difficult to catch with a camera, I admit, but I like it. It does look great, I like the button you found.